Manatees are the State of Florida’s official marine mammal and can live for over 60 years. Tragically, only about half of the wild manatees that reach adulthood survive into their twenties. Being hit by passing boats or personal watercraft is a major threat to manatees and the number one cause of human-related manatee deaths. Manatees can be injured or killed by being run over by boats and watercraft and being gashed by boat propellers. In fact, the majority of the manatees you will see have noticeable scars on their backs or tails caused by boat propellers. Manatees can also get into serious trouble and even die if they become entangled in discarded plastics, monofilament line, rope, and other fishing gear. Observe speed limits at all times. Keep a look out for manatees and give them plenty of room. Wear polarized sunglasses to reduce glare and help you see manatees under the water. Look for the circular wave patterns known as “manatee footprints” that are made on the surface of the water by the manatee’s tail. Don’t get between a mother manatee and her calf. Manatees are curious and often approach boats – look but don’t feed them. Discard unwanted plastics, monofilament line, rope, and other fishing gear properly in trash or recycle bins – never toss them into the water. Call the FWC Wildlife Alert Hotline at 1-888-404-FWCC (3922) #FWC or *FWC on cell phone, or text Tip@MyFWC.com if you accidently collide with a manatee, see an entangled, distressed or dead manatee, or see what may be an orphaned baby manatee. If possible, stay with the manatee until a FWC biologist. Do not try to rescue a manatee that is in trouble by yourself as you could inadvertently cause further injury. If you want to become involved in efforts to protect the Florida manatee, you may be interested in joining the Save the Manatee Club, an award-winning national nonprofit organization established in 1981 by renowned singer/songwriter, Jimmy Buffett, and former U.S. Senator, Bob Graham. You can also support manatee research and conservation by purchasing “Save the Manatee” license plates for your vehicles. 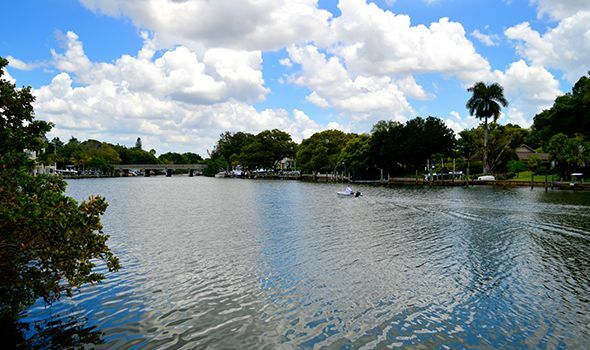 The attorneys at Heintz & Becker are posting this information on how boaters can protect our beloved manatees as a public service and ask all boaters to do their part to protect their safety.